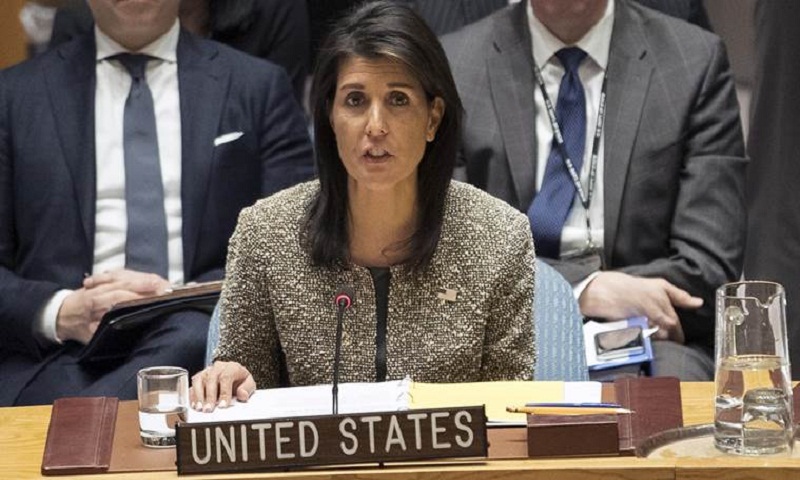 US Ambassador Nikki Haley is denouncing Myanmar’s government for continuing to make life for Rohingya Muslims “a death sentence,” citing the reporting of mass graves by The Associated Press and other news organisations. She started her speech to the Security Council today by recounting how a Rohingya refugee in Bangladesh, Noor Kadir, told AP how he survived an attack by soldiers and six days later found friends buried in mass graves. Haley also cited evidence of “another massacre and mass grave” discovered by two Reuters reporters, now imprisoned.